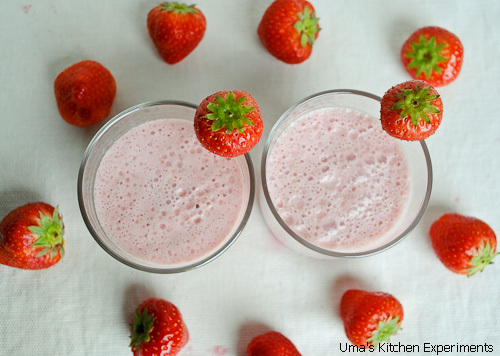 Strawberry Smoothie would be loved by everyone irrespective of age. I am not an exception to this. The red juicy colour makes it the most romantic of all the fruits. 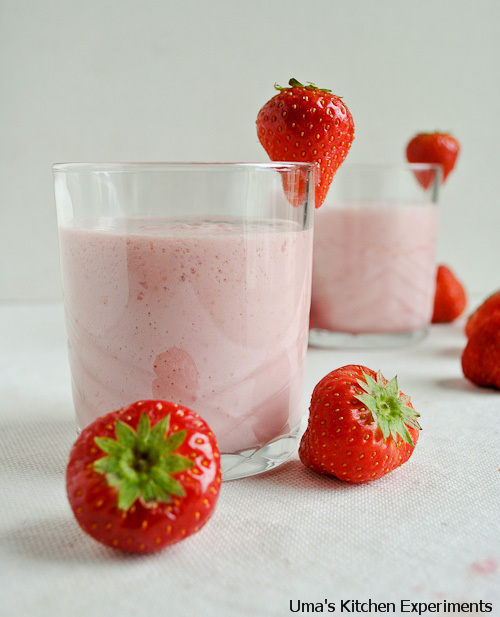 Let us see here how to prepare a Strawberry Smoothie out of fresh strawberries and whole milk. It is a simple drink but very tasty. 1) Remove the leaves and twigs and wash the strawberries well. 2) Put them into Mixer/ Food processor and blend them well for 2 minutes. 3) Add sugar and milk and blend them again. 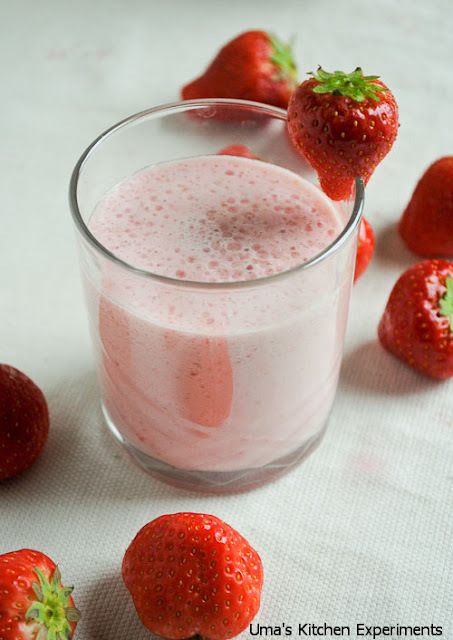 4) Continue blending until you see the juice which is nice, smooth and thick.